All of our sunglasses are designed to offer unparalleled comfort and a perfect fit. Designed by bio-metric engineers, tested by professional athletes, most of our products incorporate phenomenal comfort solutions, complete adjustability and full customization. The 360° fully adjustable tips can be adapted in any direction by applying light pressure and thanks to our innovative system-the T-Lock - they can be replaced or changed to create a completely customized fit and perfect grip. Adjustable nosepieces provide outstanding comfort and offer an exceptional fit for any shape of face: the Ergonose System which can also be used to adjust the glasses' height and their distance from the face to help prevent fogging. No more misting fog, but a totally clear and bright vision. 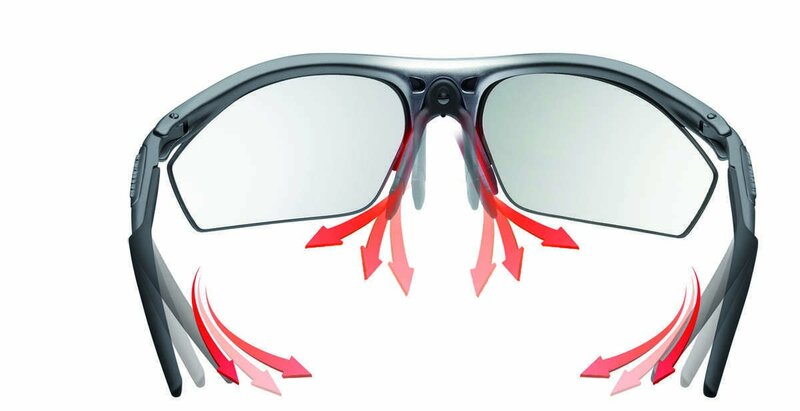 Special air channels on the inside of each channels on the inside of each temple allow airflow to reduce thermal shock ensuring perfect vision and comfortable ventilation. 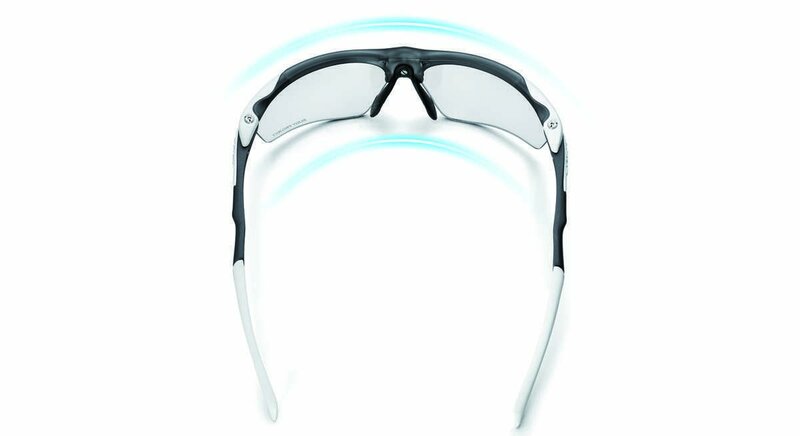 The system of interchangeable lenses called Quick change allows you to easily and swiftly change out lenses to manage any light condition for maximum visual comfort. 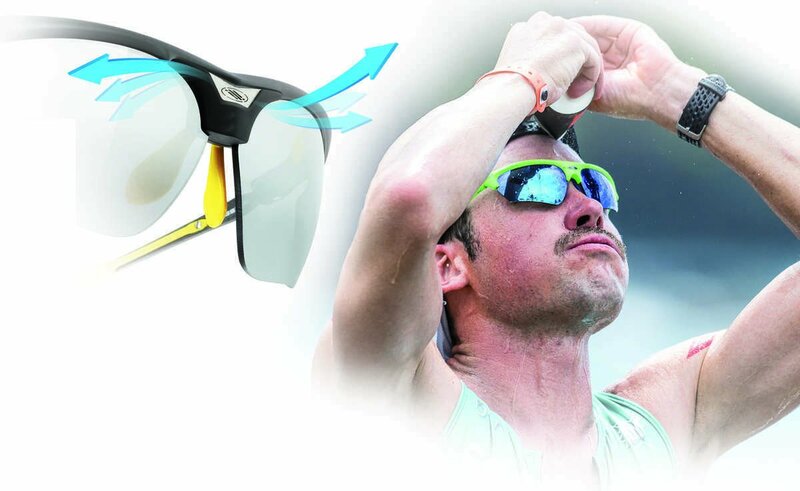 Rudy offers superior optical solutions for weather and light management. No more fog, crystal clear vision: our patented Vent Controller is a simple yet practical innovation allowing air flow control coming from the lens intake to reduce thermal shock to prevent fogging, ensure perfect vision and comfortable ventilation. It can be locked easily, closing airflows in a snap.